Winter Wildlife Galore! Yes, this is absolutely the best Yellowstone Winter Wildlife Photography Workshop. An all-inclusive FIRST CLASS package, this intense photography workshop includes meals, lodging and all the instruction you desire. Dial your mode to M and start exposing perfectly for wild subjects in snow. We will spend 3 days photographing the wildlife of the Lamar Valley and 4 days photographing deep in the interior of Yellowstone. Although we will see and photograph many scenic wonders on our journey, we will spend the majority of our time photographing winter wildlife. Each morning we will depart before 7:00 am and will not return until dark. A box lunch and snacks will be provided each day. Our private coaches and vehicles allow us to stay on location for extended periods and to maximize each wildlife encounter. In the evenings we will continue to eat and breathe photography! Settle into your comfy room, as we stay all 7 nights at the Best Western Hotel in Gardiner Montana, from where we can access both Lamar and Hayden Valleys. Our privately chartered 12 passenger snow-coaches will carry just four photographers each. We will have complete freedom to travel to different areas of the interior depending on recent wildlife sightings and weather. Perhaps Hayden Valley for fox, otter, ermine, bison and trumpeter swan; or the Madison River for bobcat, bull elk and fishing coyotes. We have 4 full days to photograph wildlife in the interior among stunning wintery backgrounds. On the Lamar Valley days we may expect to see bighorn sheep, pronghorn, moose, fox, mule deer, bull elk, ermine, wolves and eagles. Wildlife photographed last year during January included: wolves, bobcat, ermine, coyote, trumpeter swan, otter, bison, fox, bull elk, pronghorn, moose, bighorn sheep, mule deer, marten, bald eagle, golden eagle, and lots of waterfowl. Prejudice is not limited to religion and racial ethnicity. It also finds targets among our wild brothers and sisters, not the least being the gray wolf. Wolf eradication can be traced back to the Middle Ages in Europe. It’s not surprising that it lifted its ugly head again as Europeans began arriving in the New World. 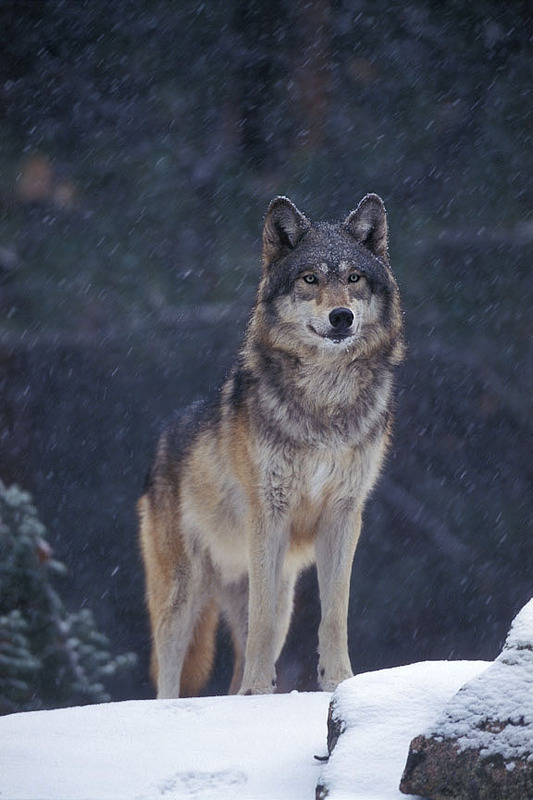 According to PBS, “By the middle of the twentieth century, government-sponsored extermination had wiped out nearly all gray wolves in the Lower 48 states. Only a small population remained in northeastern Minnesota and Michigan.” This came about as a result of wealthy livestock owners wielding their influence over policymakers in Washington, D.C., and demanding a wider grazing range. In spite of Congress providing protection for wolves under the Endangered Species Act in 1973, wolves are still being killed.